Deep Cabaret are a special band not just because they bring together specialists in jazz, folk, improv and world music to make deeply intelligent pop. And not just because they include bagpipes, hurdy-gurdy, cello bass clarinet and throat singing alongside the usual guitar and drum kit combo. No, what is most special about Deep Cabaret are the lyrics of their atmospheric songs. The band don’t write them. Instead lead singer Steve Lewis finds them in his reading. Novels, poetry, science, history, psychology and nature are all grist . So Deep Cabaret songs adapt sentences from contemporary writers like Jonathan Franzen, Haruki Murakami, Alice Munro and Marylinne Robinson. Sometimes neat, sometimes mashed together with extracts from books on the neuroscience of attachment or the geology of Morecambe Bay. 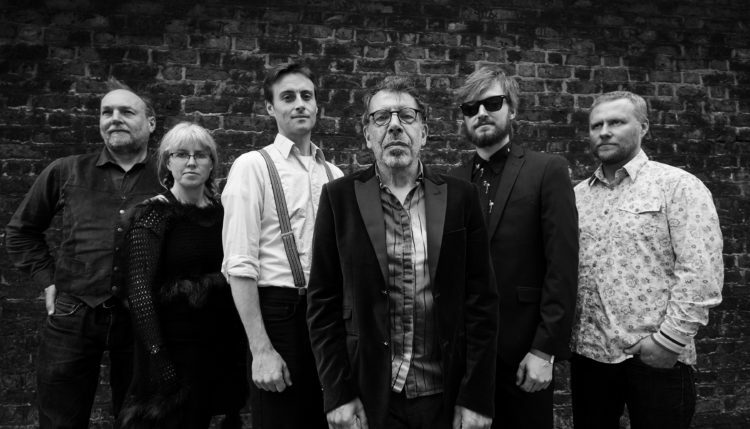 This homecoming performance will be the band’s first Lancaster gig in over two years and marks the end of their Jazz North supported ‘Slow Tour’. In honour of Litfest’s 40th anniversary they will premiere a sequence of songs adapted from Jonathan /Safran Foer’s most recent novel “Here I Am”, focussing on Foer’s astute take on the satisfaction and desperations of love in couples, in families, in life. Join us for a spectacular evening celebrating the power of words – and music!